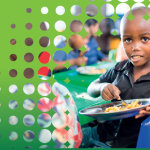 INSTILLING love and passion for agriculture from an early age, Afrika Tikkun’s early childhood development (ECD) at the Arekopaneng Centre in Orange Farm launched their Garden to Kindergarten programme to educate pupils aged two to six about the environment. 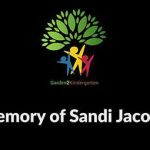 The programme also commemorates human rights activist and Struggle hero Sandi Jacobson, who dedicated her life to both ECD and vegetable garden skills transfer. About R350 000 was raised to fuel the first year of the programme run from Orange Farm. 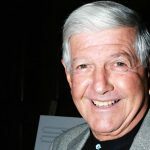 The current campaign aims to raise funds to continue the programme indefinitely and roll it out at Afrika Tikkun’s other four centres of excellence in Joburg and Cape Town. The programme educates the Grade Rs, their parents and teachers. Project co-ordinator Tim Abaa said: “The programme’s objectives include teaching responsibility and patience, enhancing fine motor/co-ordination development and introducing the concept of sustainability. Afrika Tikkun group executive of partnerships and marketing Onyi Nwaneri said: “As these young learners grow older they will have learnt valuable gardening and agricultural concepts that could benefit them in future from an employment and entrepreneurial point of view.